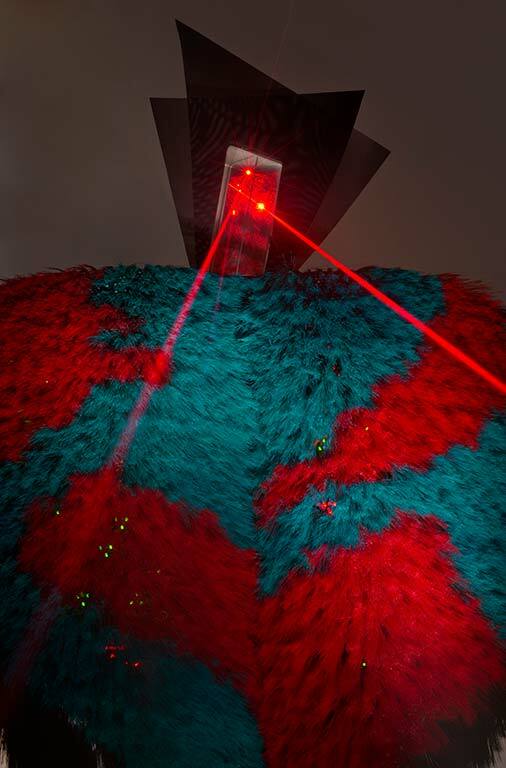 Liliane Lijn’s solo show Cosmic Dramas will be on view between 13 September 2018 – 12 January 2019 at Rodeo, Piraeus. Exhibition text can be found here. Liliane Lijn’s work covers a large spectrum of interests, from Light and its interaction with diverse new materials to the development of a fresh image for the feminine. Lijn has taken inspiration from incidental details both man-made and natural, mythology and poetry, science and technology. Lijn is interested in the development of language, collaborating across disciplines and making art that is interactive, in which the viewer can actively participate. Power Game is a boxed limited edition of two games and an oracle. It comes in a numbered, signed and dated edition of 100. 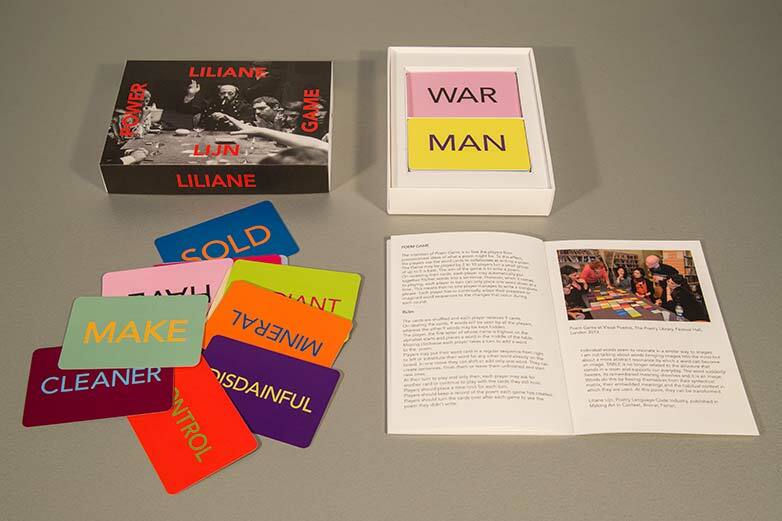 It is made up of the full set of 108 word cards that Liliane Lijn invented in 1970.